4Videosoft M2TS Converter for Mac 5.1.50 無料ダウンロード - Convert M2TS/MTS/TS video to other videos, convert HD video, SD video and audio. 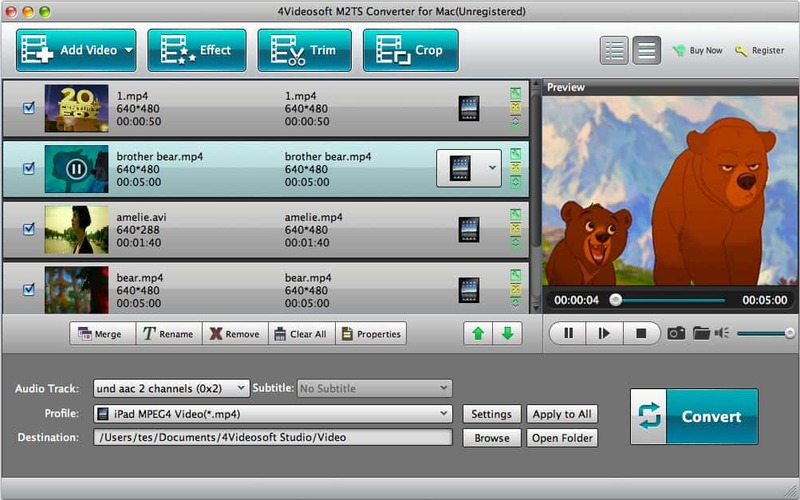 4Videosoft M2TS Converter for Mac is the best Video Converter for Mac users. It is able to help you convert M2TS videos. You can convert M2TS video to other popular video formats like MP4, MOV, M4V, AVI, FLV, etc. It provides you the powerful editing functions to optimize the output videos as you like. And you can enjoy these output videos on your portable devices.